For as long as I can remember, I have taken great pride in spritzing myself with my favorite fragrance before I go anywhere. 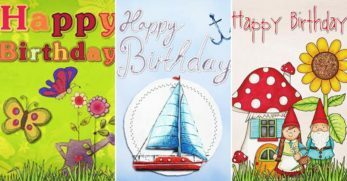 Of course, the scents have changed drastically over the years, from the sickly sweet, strawberry glittered stuff I used to spray before school to something which I like to think is a tad more sophisticated nowadays as I leave for work. Perfume is such a personal and special thing, and I love it when someone's perfume becomes the scent you associate with them, and you could pick it out anywhere. I could smell over a hundred perfumes in a day, and I would be able to tell you which one my mom wears in a heartbeat. The obvious downside to store-bought perfumes is the price, which can often reach heights that are a bit ridiculous for, essentially, scented water. 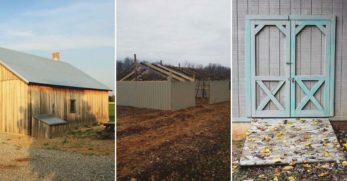 That is why I have recently begun experimenting with making my own, and there are more than a few recipes that I just had to share. 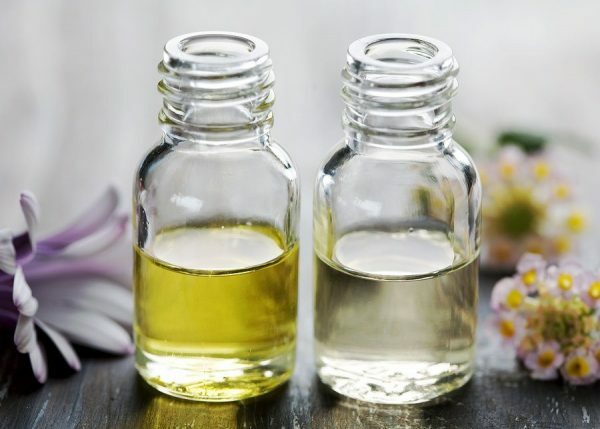 This Botanical Cologne recipe makes a good point of addressing the fact that some store-bought perfumes can be extremely strong, with incredibly heavy ingredients and scents within them. This downside is addressed in the making of your own perfume, as you can adjust the levels of all the ingredients, making sure not to include any scents that might be too strong for you. 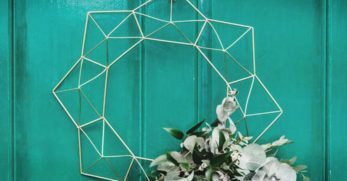 There are two suggested scent combinations in this one recipe, vanilla rose and orange mint, both of which I think sound both amazing but still simplistic. The vanilla rose option uses a real vanilla pod instead of just an essential oil, which will give you a much more natural and delicious vanilla scent. 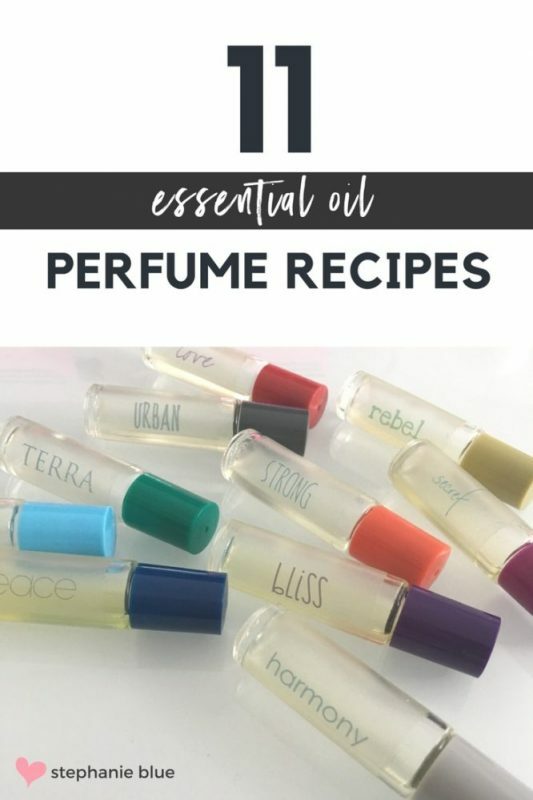 I can't say that I am an expert in figuring out what scents would go well together in a perfume, so a recipe like this is really helpful to me. It is very explanatory in terms of what scents are more prominent than others, and which should, therefore, be used for the different ‘notes' in the perfume. It sounds confusing now, but trust me, it is very easy to follow. There is a whole range of scents suggested for this Essential Oils Perfume, so you could have a lot of fun experimenting with different ones, whether they're already favorite scents of yours or completely new discoveries. The perfume recipe itself is very simple, and they even have a printout of cute little labels you could use for your bottles. I haven't used a roll-on perfume since I was a little girl and used to get them free in weekend magazines. Now that I think about it however, this is an extremely convenient way to apply perfume. You could use it absolutely anywhere, without running the risk of covering everyone around you in sprays of your perfume. 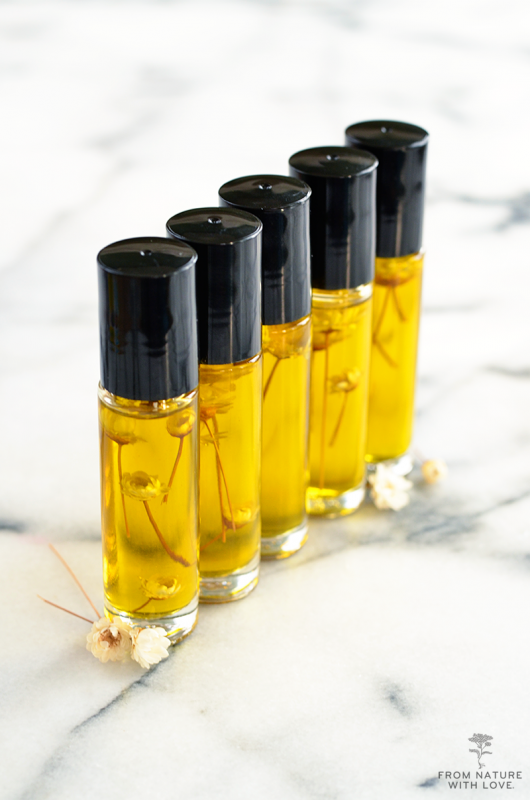 More perfumes should definitely be available in a roll-on form, but until that trend takes off, you can make your own. 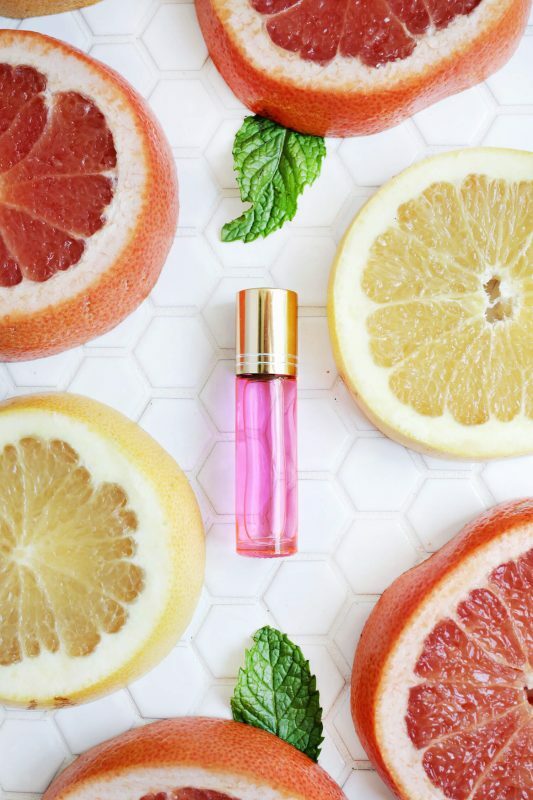 As a lover of fruity scents, I love the sound of this Fruity Roll-On Perfume, scented with sweet orange and mandarin for a really lovely citrus base, with notes of neroli and cedarwood alongside it. 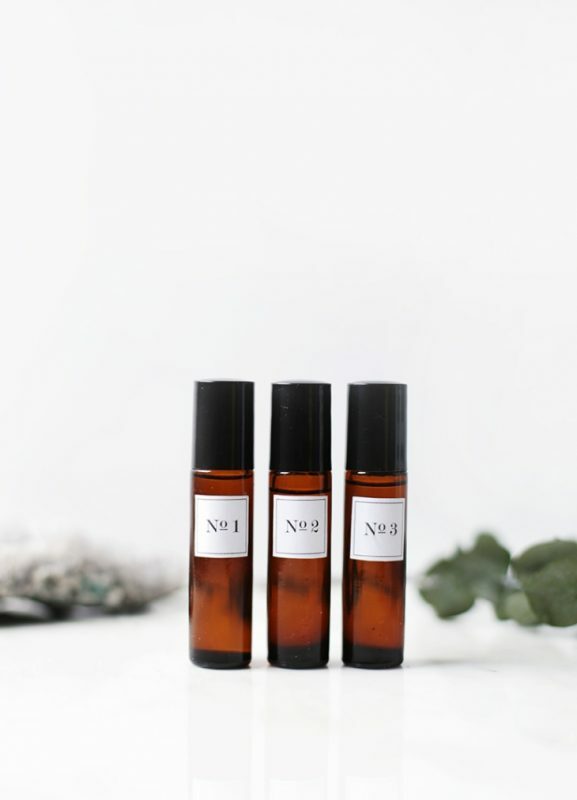 The suggestions of scent combinations you can use in this 3-Step Natural Perfume are really interesting, and what sold it to me was the fact that they are categorized based on the type of scent they will create. 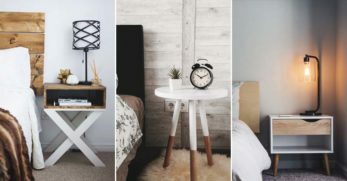 I find that really helpful because although I might not have heard of all the names of the essential oils before, I do know what types of scent I tend to gravitate towards. 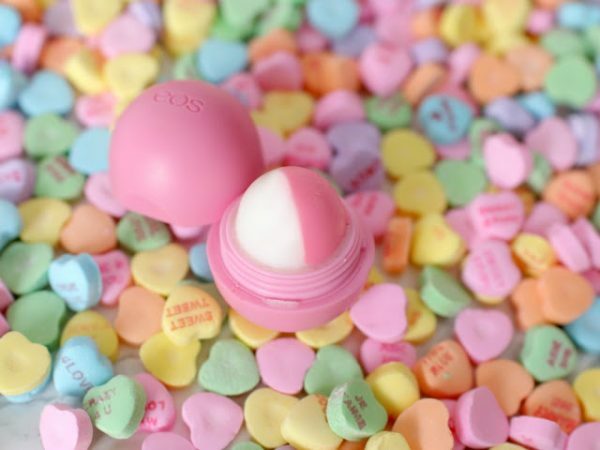 As a lover of everything sweet, the ‘sweet and summery' scent inspiration is calling my name. That being said, this would be a great way to try out scents that are notably different from what you would usually go for, without completely breaking the bank. Something I really love about this Grapefruit and Peppermint Perfume is the fact that there are two options for how to make it. One is alcohol based, like most perfume DIYs will suggest, but here is also a way to make it using an oil base. I think I prefer the latter, because not only will you get an added scent from the oil base, but it will also make your skin where you use the perfume silky smooth. Summer is by far my favorite season, and I think this scent combination would be perfect for evoking that summer feeling at any time of year. I love using anything grapefruit scented in the mornings especially, as it's a great way to make you feel energized and revitalized. 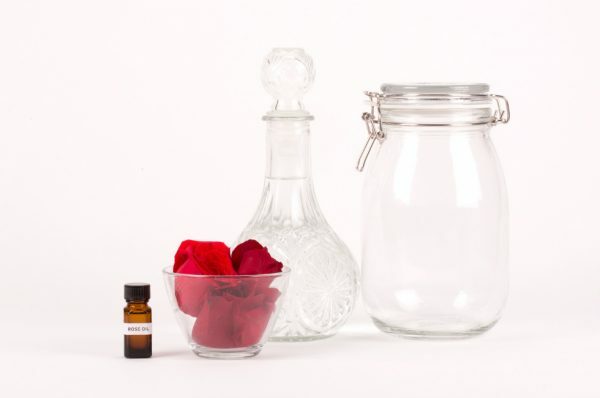 I personally am not the biggest fan of rose scents, but I know a lot of people who are, and this Rose Perfume DIY looked too good not to share. I would probably make this perfume simply for how pretty it looks, rose petals just make anything look beautiful and romantic in my opinion. This particular perfume would be incredibly cost efficient to make, especially if you have roses in your garden which you can use for free. 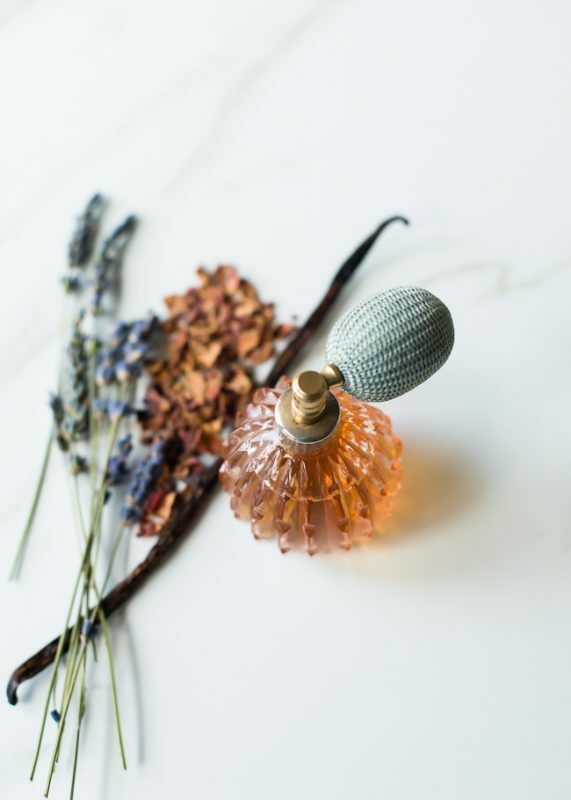 The recipe is also suitable for use with lavender flowers which I really like, and especially in summer, I think this floral perfume would be heavenly to spritz all over yourself. I think we can all agree that there are few things better than a nice smelling man. 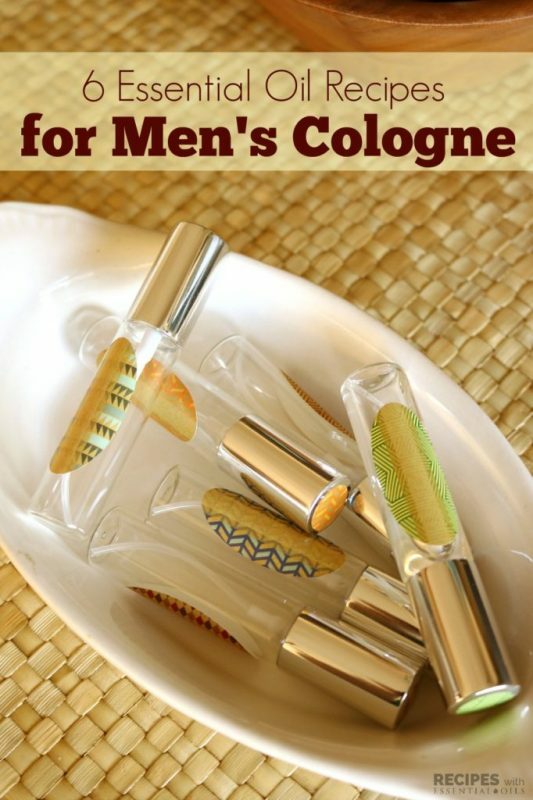 By using this Men's Cologne DIY recipe you can make the men in your life smell any way you want them to. 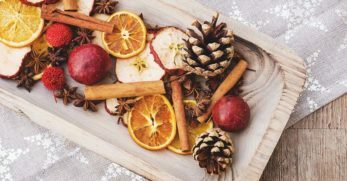 I wouldn't even know where to start when choosing a fragrance for a man if left to my own devices, but luckily for me there are a vast range of essential oils suggested here, and even 6 ideas for combinations to try. 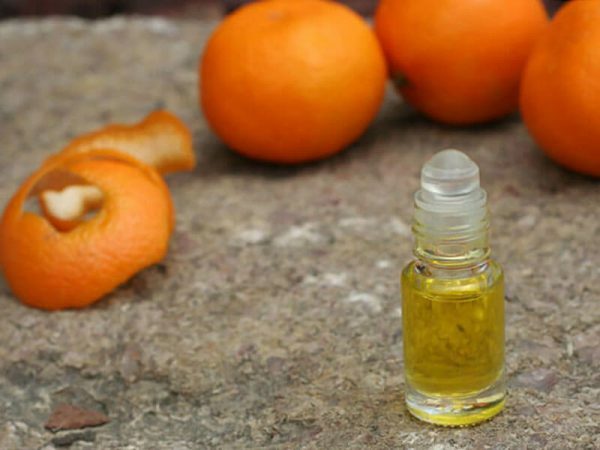 This recipe makes a small amount of cologne, but I think that's a good thing, as it means there will be more opportunities for you to try out different combinations and he can pop it in his jacket pocket for work. I don't think I could possibly say no to anything which is called Citrus Sunshine. This perfume combines two of my favorite things, sweet fruity scents and the summer sun. Most DIY perfume recipes show the perfume being decanted into plain plastic tubes or spray bottles, so I really like the fact that they have used a pretty bottle here. You can get things like this easily online, and of course the bottle doesn't affect the scent but it is a little touch that makes it enjoyable to use. The combination of scents sounds like it would be sweet and floral without being too overpowering. 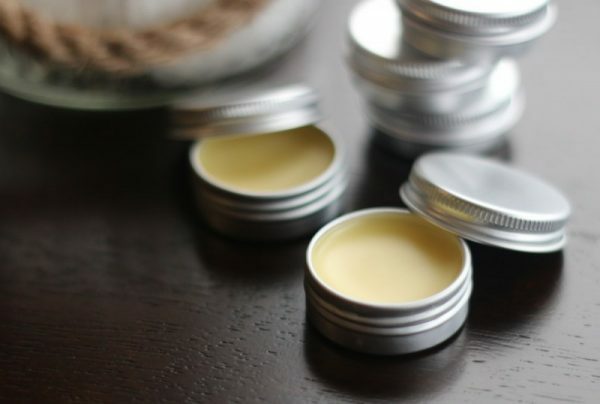 This Solid Chapstick Perfume is an absolutely genius idea, and there is no doubt that I am going to be trying it out. 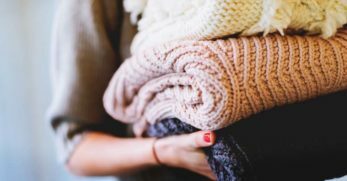 It would be so incredibly convenient to pop into any pocket or bag and would take two seconds to whip out and give yourself a little top-up at any time of the day. 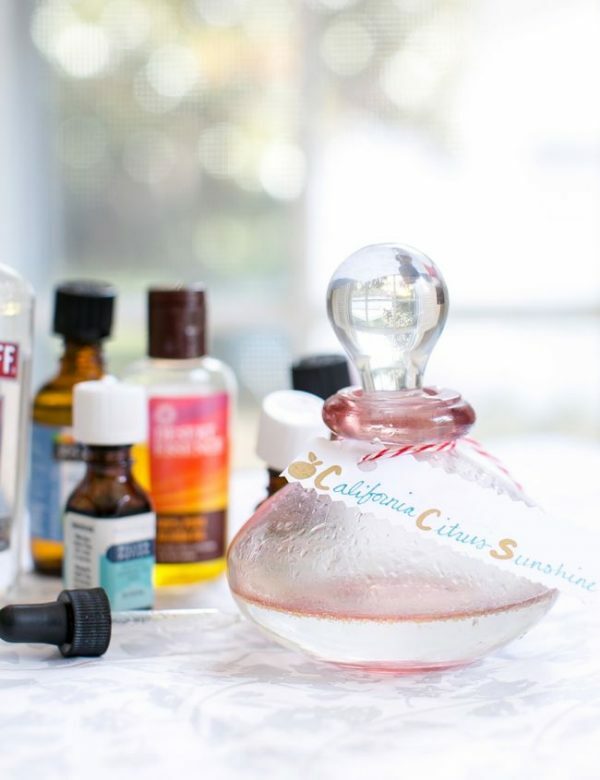 The scent suggestions are completely different to ones I have seen used in other DIY perfume recipes, with more fun flavors like coconut and pineapple, raspberry or cotton candy. 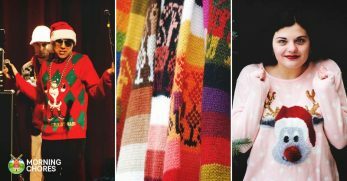 I would have absolutely loved to have one of these, or a range of these when I was at school, so if you have any daughters or younger family members this would be the perfect back-to-school gift. I absolutely love that feeling when you shower in the morning and for the rest of the day, you can smell your shampoo letting out a little waft of scent every time you swish your hair. I would be more than happy to have that feeling all the time and be able to top it up throughout the day. That is why I am so intrigued by the idea of this Hair Perfume. I have never tried something like this before, and I can't say that I have seen them readily available in stores either. Of course, you can spritz a bit of regular perfume in your hair, but it isn't particularly good for it, so why not make something specifically engineered to do the same job better? I like the idea of having a Perfume Oil, both for the fact that the application of the perfume will be so much more accurate than with a spray and that the perfume is likely to be more prominent on the skin. 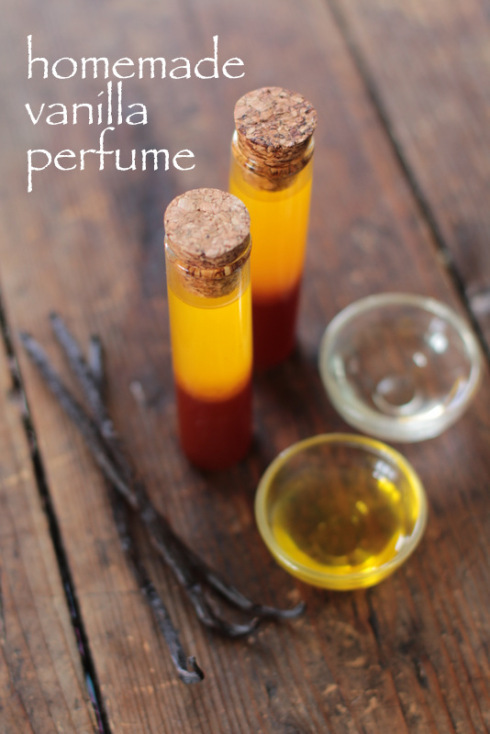 This perfume DIY requires very few ingredients, making it budget friendly which is always a plus. The suggestions for scent combinations are extremely varied, and there really is something for every occasion and preference. 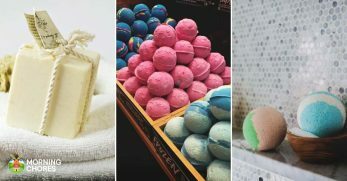 There are multiple scents specifically designed to suit men and different tones for women, I think I like the sound of the ‘forest fairy' one the best. 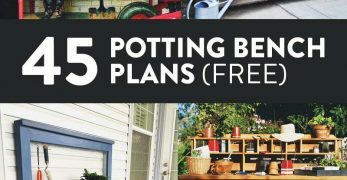 Of course you aren't restricted to these combinations, you could try any of your own, but it's a great place to start if you are looking for inspiration. These are without a doubt the most beautiful little bottles of perfume that I have ever seen. I have seen things like this in stores before, but they have always been overpriced and I just couldn't justify the money on such a small bottle regardless of how pretty it was. That dilemma has been completely eradicated however with this Floral Perfume Roll-On DIY, and I couldn't be happier. 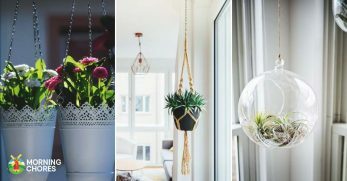 Having one or two of these on my dressing table would be enough to make me smile in the morning, and I can bet you'd be getting multiple questions about them when you take them out of your handbag to use. 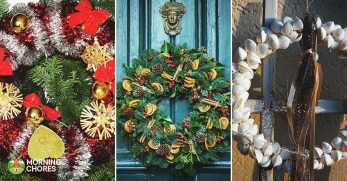 They would make the most beautiful gifts also, if you can bear to give them away that is. Vanilla is by far my favorite scent in the world, whether it be a vanilla cake baking in the oven or a vanilla perfume, I will be all over it. A couple of years ago my favorite ever vanilla perfume was discontinued and I was devastated, and to be honest I haven't found a replacement that I love just as much since. Maybe this Perfumed Vanilla Oil will be my saving grace and give me back that perfect vanilla scent that I have missed so much. The bottles they have used in this example are incredibly cute, but not necessarily the most practical for on-the-go use, so I would probably use a bottle with a screwed lid instead. 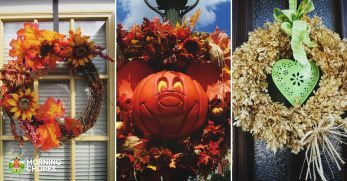 The method looks long, but it is in fact just very detailed and would not take long to make at all. One of my aunts is incredibly conscious of what goes on her little girl's skin, which I don't think is a bad thing at all, but it got a little tricky when she started wanting to try out my makeup and perfume. 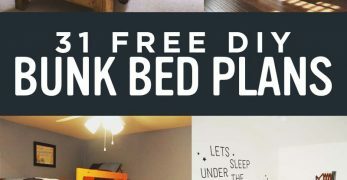 That's why this DIY really caught my eye, and I think it would do the same for a lot of moms with young girls who are getting to the stage of wanting to try out ‘grown-up' things. 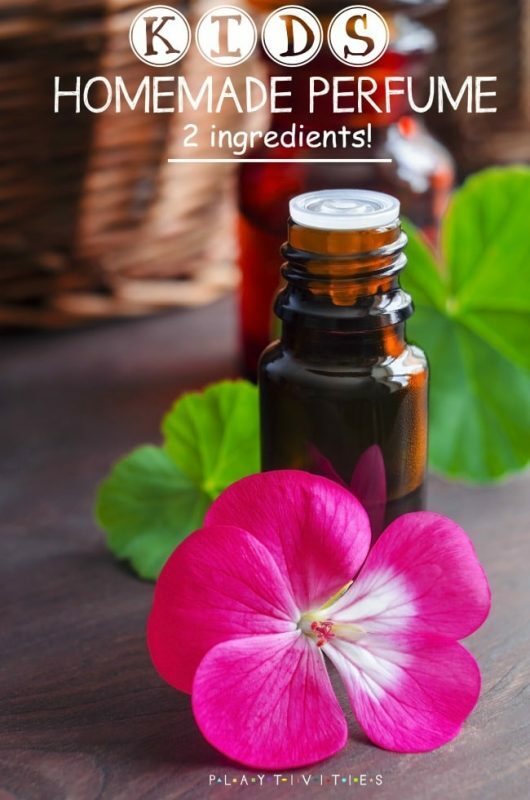 This 2-Ingredient Kids Perfume is perfectly safe to put on young skin, and because you are making it yourself you can rest assured of exactly knowing what is going into the bottle. 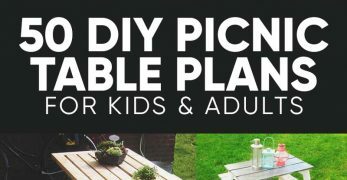 Because the method is so simple you could even involve your kids in making the perfume, picking out their favorite scents and feeling even more grown-up. My dad is incredibly sensitive when it comes to perfumes, one spray when he is in the room and he will be sneezing uncontrollably for hours. This bothers my mom because she is a big fan of her perfumes, and I think this Solid Perfume could possibly be the solution to the problem. It's so easy to carry around with you, and perfect for travelling, completely removing the risk of a smashed bottle and very heavily scented clothes. You could experiment with scents, but I really like the idea of the citrus one that has been used in this example. If I were making this perfume, which I probably will be, I would use a little heart-shaped tin or something just to make it even sweeter. 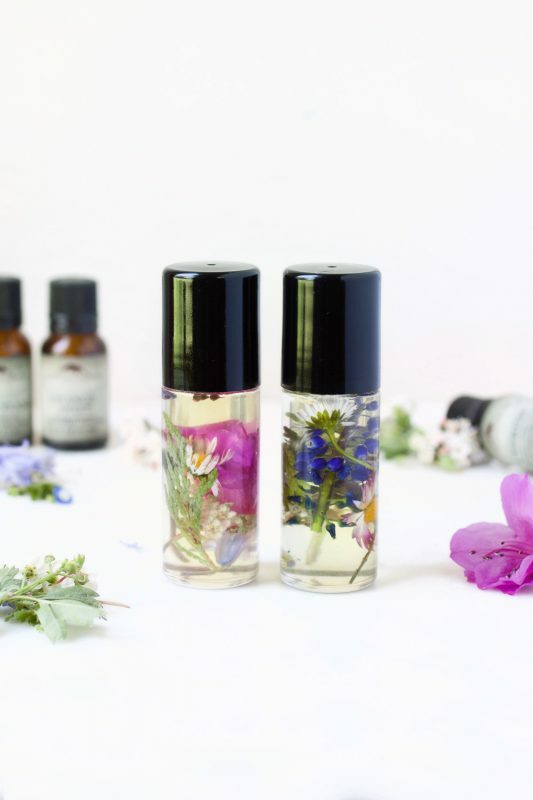 These Roll-On Essential Oil Perfume recipes are perfectly suited to anyone who can't deal with strong scents, as they have relatively small amounts of essential oils in them. 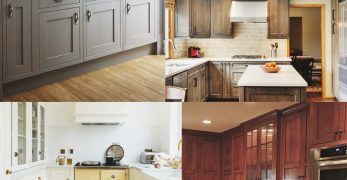 They only contain two ingredients, so would be cost efficient and very easy to put together. Once again there are many delicious scent combinations suggested, all of which are named based on the kind of tone the perfume gives off, which I think is a really unique idea. There are names like Bliss and Strong for example, and it would be nice to give one of these to a friend as a more personalized perfume gift. 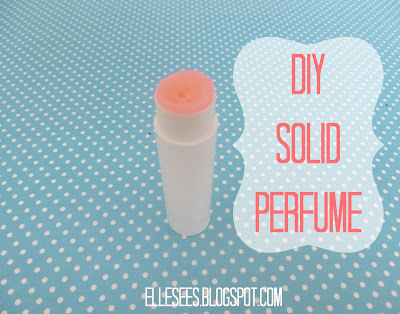 If like me you can be more than a little indecisive at times then look no further than this DIY for All Natural Solid and Roll-On Perfumes. You don't have to choose between the two, you have both recipes together in one place. 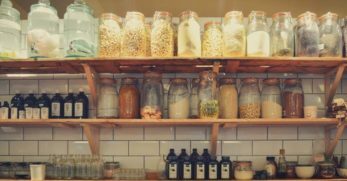 I love the fact that these recipes are very focussed upon using all natural ingredients, something which I am definitely trying to convert to. 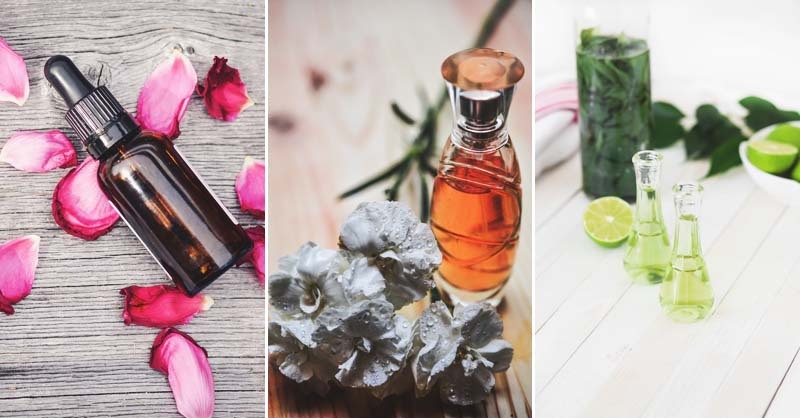 There are some things which can be difficult to get used to when making the change from store-bought to homemade, but I think these perfumes would be lovely enough to make you forget anything you used before. I used to absolutely adore body sprays when I was younger, to the extent that my mum would run into my bedroom and fling open the windows after I sprayed it to ensure that everyone inside didn't keel over. Body sprays are also a great way to try out new scents before going for something as strong as a perfume. 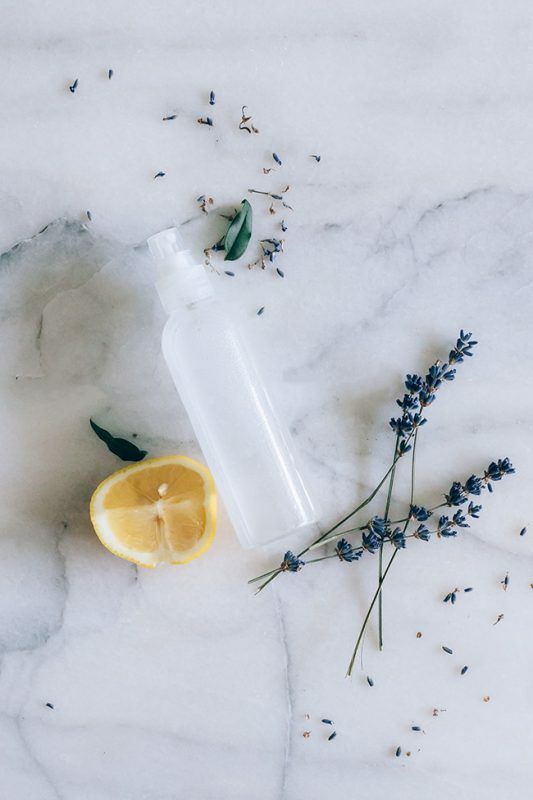 That's not to say that this Lavender Lemonade Body Spray wouldn't give off a beautiful scent, because I can imagine that it most definitely would. I associate this scent with spring, which will be upon us before too long, with the dreamy lavender and citrusy sweet hints of lemonade. 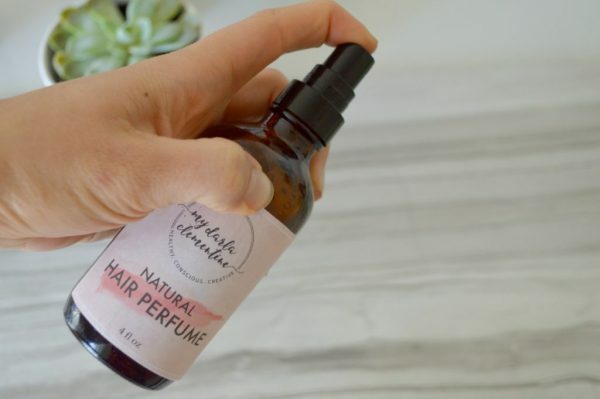 I am so intrigued by this concept of hair perfume that I had to include another one, just so that you're spoilt for choice when it comes to making your own. Before I use a hairdryer to dry my hair I always apply an oil to it, and I have found that my hair stays in such better condition since I started doing this. It is less frizzy and gets far less heat damaged. 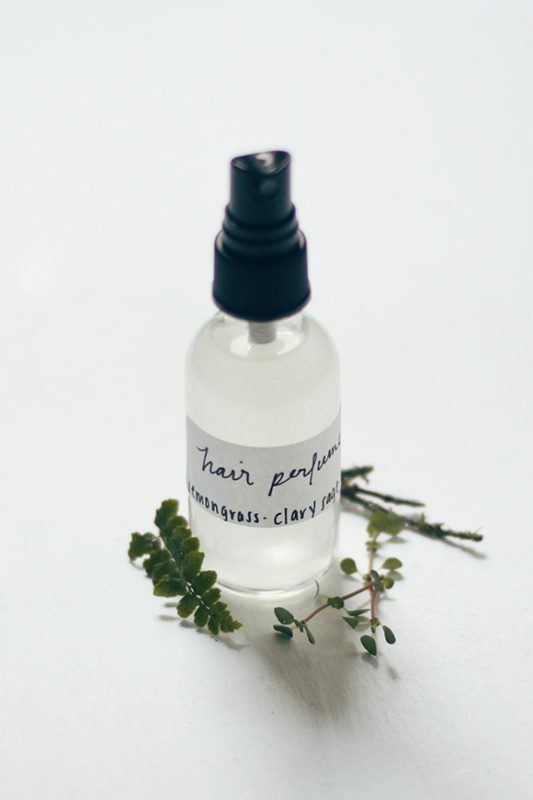 For that reason, I can imagine that this Essential Oil Hair Perfume would be a dream to use, both for helping my hair to stay silky smooth and obviously for its gorgeous scent. 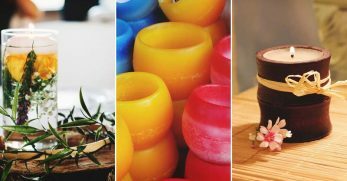 I have previously tried out a DIY lip balm recipe which used an empty Eos tub and absolutely loved it, so did many of my friends as a matter of fact. This Eos Tub Solid Perfume would fit into any handbag and would be easy to apply anytime throughout the day, however many times you want. Of course it is not a necessity that you create this half and half color effect that they have used here, but I know I would, just to make it that little bit more fun. Be careful not to add too much color if you are doing this however, as it might be a little awkward to walk around with bright red smudges where you've applied your perfume. I couldn't not include these three Roll-On Perfumes purely because of how beautiful they look. I know that the appearance of a perfume means next to nothing in the grand scheme of things, and you use it solely for the scent, but just look at them. 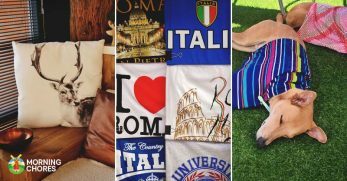 I would not think that these looked at all out of place on the shelf of a pricey store, and I would most definitely be drawn towards them. 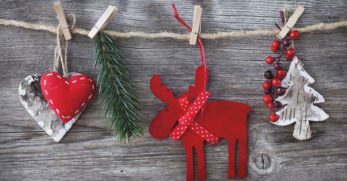 The scents sound very sophisticated, like grapefruit, juniper and oakmoss, which means that you'd probably be shocked that you made it yourself when you smelled the final product. 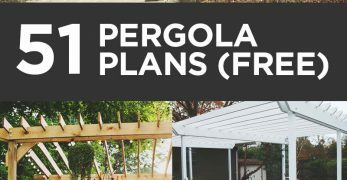 That's a characteristic I love in a DIY, something you would automatically believe to be store-bought. This is a really lovely kid-made gift that any woman would love and appreciate. They aren't the most compact of perfumes, but it's more the thought that counts in this DIY and there is never anything wrong with that. 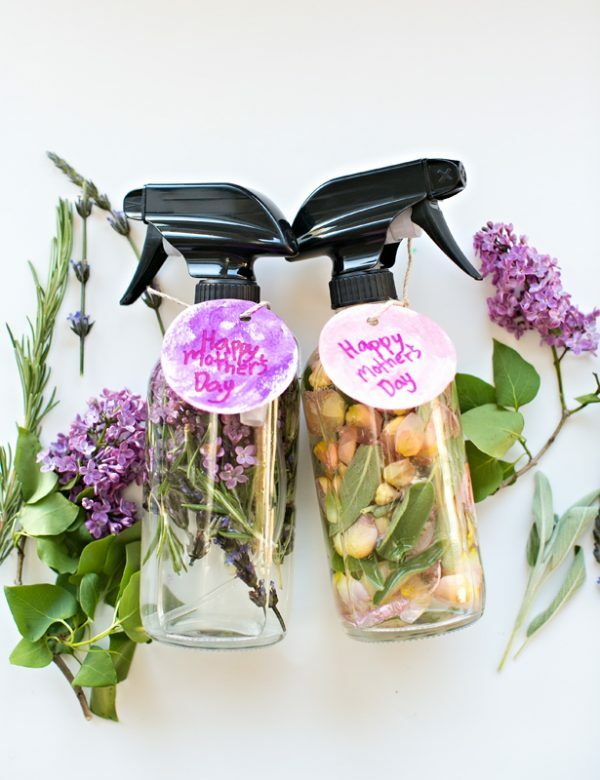 Kids would have a lot of fun choosing flowers and herbs, smelling them and picking out their favorites to use in these Floral Herb Spray Perfumes. The color schemes of the two bottles in this example are very pretty although it would be just as exciting, probably more exciting for the kids, to mix and match different colors. Even if these weren't used as perfumes, they would be lovely to spray on bedsheets before bed, or on freshly laundered clothes. Now this really is something a little bit different, but still something I would really like to try. It looks very easy to make this Perfumed Body Powder, and on sticky summer days I can imagine that it would be lovely to pat onto your skin. Anything you need to apply with a powder puff just makes me feel that little bit more fancy, like the women in the old movies powdering their noses. 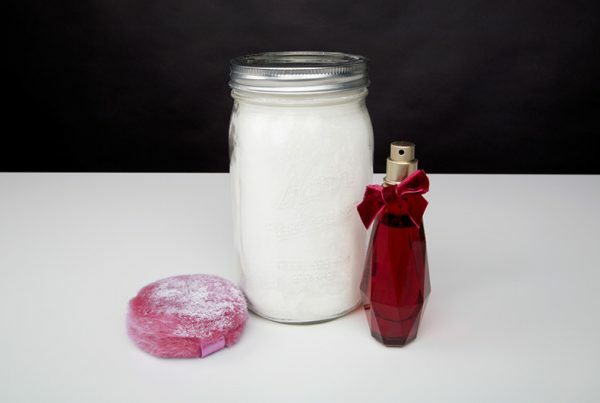 Something really appealing about this DIY is that you can use your own favorite fragrance to scent the powder, so you can be certain in advance that you will love the scent. Just the name of this makes me want to cover myself in it and see if it lives up to its claims. They really have picked the most romantic floral scents to feature in this Romantic Essential Oil Perfume, with roses, geraniums and lavender. This recipe doesn't use alcohol as a base, which removes the risk that you will get a hint of the scent of it coming through. 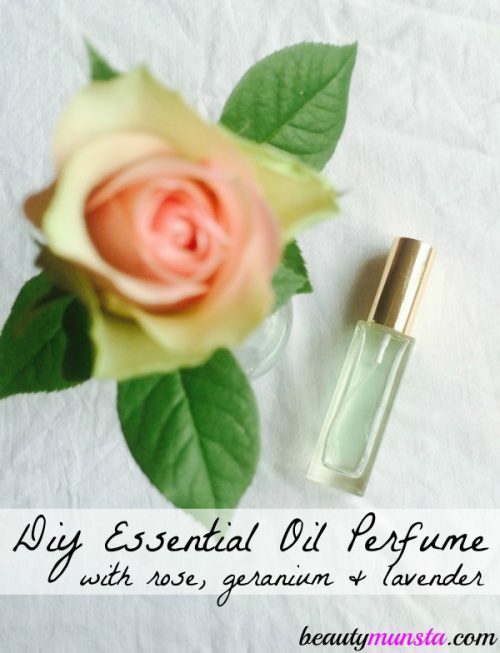 This DIY also includes a list of helpful tips and tricks to help you along with creating and making your own perfume, which is a big plus for a beginner like myself. I absolutely love the sound of the scent combinations in this Sandalwood and Vanilla Solid Perfume. Not only is there the obvious sandalwood and vanilla, but there are also softer notes of grapefruit and bergamot singing in harmony along with them. The method itself simply involves melting all the ingredients together and popping them into a tin to cool, which sounds doable for anyone. 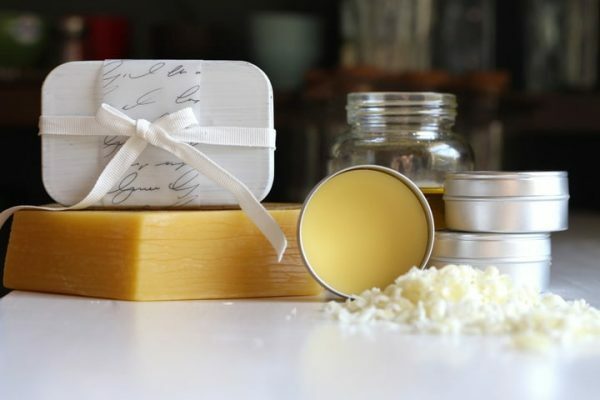 If you don't like the idea of a solid perfume but like the sound of the scent as much as I do then it would be easy to take the ratios of the essential oils in this recipe and transfer them into a roll-on or spray perfume recipe. I would honestly make these little bottles of Linden Blossom Perfume Oil to use as decorations around my room, that is how pretty I think they look. The little dried flowers inside give the perfume a unique look, and would make great gifts if you know someone who loves their perfumes. I have to admit that I hadn't heard of linden blossom before, but it is described in the recipe to give off a honey-sweet scent, so I am most definitely getting right behind it. I am not usually too adventurous when it comes to buying perfumes, but because I will be making this one myself then I am more than willing to give something new a go. Whether you're treating yourself or treating a friend or family member, perfume is always a good thought for a gift. 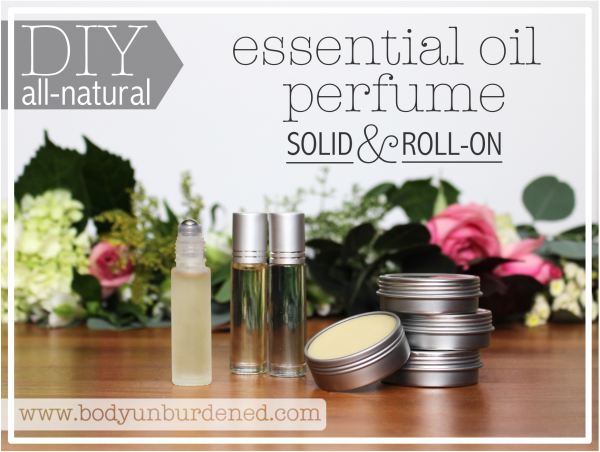 There are far more different variations which you can easily make at home than I ever thought, from perfumed oils to roll-ons and hair perfume. I am most definitely going to be making one of the Floral Perfume Roll-Ons with the little flowers inside the bottle, they are just too pretty not to be constantly on my mind otherwise. I also have high hopes that the Perfumed Vanilla Oil will replace my favorite discontinued perfume. What kinds of scents do you prefer? Are you more of a fancy floral person or a honey sweet one?